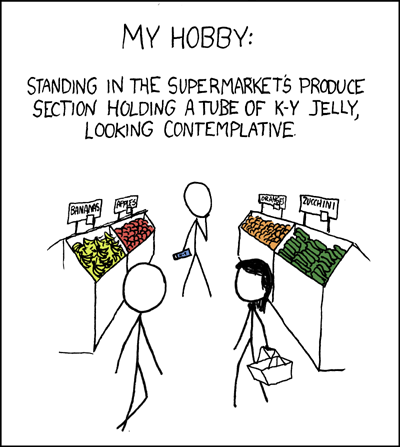 Oh xkcd. I'm so glad I found you. Why can't I find a guy like you in person. Funny, intelligent, witty and just a little bit naughty. One who makes me laugh like you did today.